When you match up Insanity vs Insanity MAX 30, it would seem as though Beachbody copped out and just did the same old Insanity workout and bottled it into 30 minutes. And that couldnt be further from the truth! 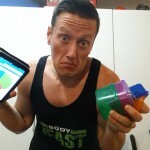 There are actually HUGE differences between Insanity and MAX 30 and I am going to walk you through those differences so that you can make a BOSS decision on which one fits your goals and lifestyle best! 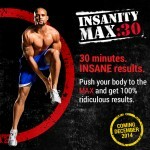 Insanity vs Insanity MAX 30 – The HUGE Differences! 1 – The workout duration: Obviously this is the biggest difference with Insanity Month-1 workouts ranging in the 37-44min range, while MAX 30 workouts are only 30 minutes. 2 – Workout breakdown: With Insanity you have a 10 minute warm up, 5 minute stretch, and then you do 4 moves @ 30 seconds each with a 30 second rest. With Insanity MAX 30 cardio workouts, you are doing a quick warm up, break for water, then you do 3 moves @ 30 seconds each for 4 rounds and a 30 second break – This repeats for 5 rounds. 3 – Cardio vs Resistance: One of the “huge differences” that I mention in the title is that MAX 30 actually separate the cardio workouts from the resistance training workouts while insanity always incorporated the resistance moves into almost every single workout. Insanity MAX 30 resistance workouts are based on a tabatas style training where in month-1 you do 20 second on/10 second off, of drop sets for 8 sets. Then in month-2 that goes to 45 seconds on/15 seconds off. 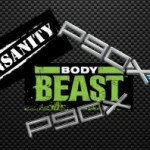 4 – Day specific workouts: Insanity got pretty repetitive in my opinion. 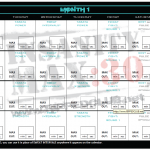 Insanity MAX 30 came out with specific workouts for Fridays and Saturday called Friday Fight and Saturday Pulse…both with a very specific goal in mind that will accelerate your results. 5 – The MODIFIER: This is new and has never been done before. In Insanity you never really see a modifier. The whole goal is to just try and keep up and if you cant you feel sorta left in the dust. With Insanity MAX 30 you can actually select IN THE DVD MENU for the modified version of each move to be shown on the screen along with the regular move. This is so awesome! 6 – The overall strategy: Insanity to me was a big game of try and keep up. With MAX 30 you are actually fighting against yourself! The goal is to go all out until you “max out”. Whatever time you take your first break at…you write it down. Your goal the next week is to beat your last time and stick with it longer. I love this concept! DIG DEEP FOR AS LONG AS YOU CAN! Thank you for the information. You just made my decision easy. 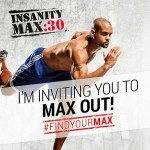 Insanity Max 30!